'Burning Night' by Sue Walters. 65cm on Natural Slab Poplar. The DVD Project Piece. The 'Burning Night' DVD explores a dynamic concept...one I started dabbling with many years ago...the burning of night time scenes. The concept of burning the dark might seem slightly crazy but, as you can see by my depiction of the Brooklyn Bridge and the New York City skyline, the results can be truly startling and eye catching. I was fortunate enough to be able to visit New York in person, so I chose this famous vista to show you my negative burning technique...one I call 'negative pyrography'. I thought of all of this in 60 seconds and came up with an exciting list that I'm dying to get stuck into! Imagine the possibilities! :) After all, we live half our lives in the dark... and now we can burn it. 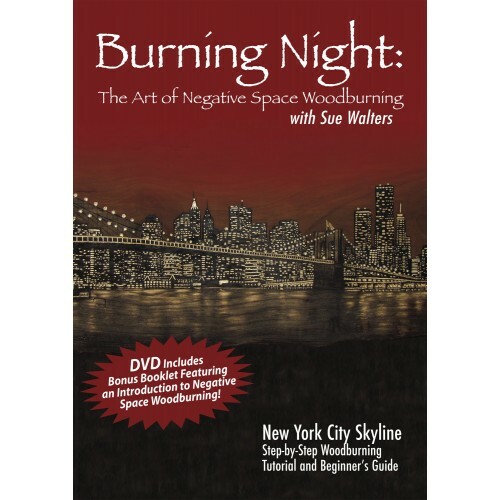 The concept of burning the night might seem a complex one but, when shown how with step-by-step instructions, you will not only see how uncomplicated it is, but it will also open your mind up to new possibilities in your pyrography and craft pursuits. Lastly, as always, I wanted to pass on as much information as possible. With this in mind I have, literally, spent months producing and editing this DVD. I wanted every minute to contain valuable information. I wanted 60 minutes of full on lessons and no lost time. This 2 disc DVD set has been produced because of the many requests I've had to conduct classes. It seems people have been keen to see in person how I approach my pyrography and to learn of the techniques I use. I designed this DVD with that in mind; to have you, the student, sitting right next to me as I instruct you in the burning of a Red Tailed Hawk. But this lesson is not just about burning a hawk, it's about me passing on as much pyrographic information as I possibly can in the 105 minutes allowed. 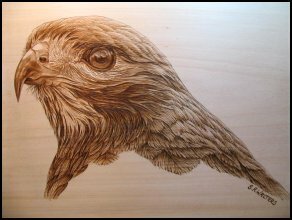 The Hawk is simply a vehicle for us to use as we explore pyrography, step-by-step, together…for you to take away new skills that you can apply to your own burning, no matter what the subject. The hawk lesson contains 10 steps and is over 85 minutes long. It also includes special tutorials to explain complex areas in more detail, such as burning the eye. "Discover the simple techniques of pyrography as you stand alongside one of today's finest woodburning artists, Sue Walters. Ideal for the beginner, or for any woodburners looking to improve their skills, Pyrography Workshop with Sue Walters is like having a private tutoring session. 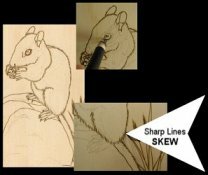 In addition to learning all of the basics of woodburning, you also will receive 10 detailed lessons that culminate in the completion of a stunning hawk project. Inside this 2-DVD set, you will find a 16 page color booklet that includes two patterns for the hawk project, a photo of the finished piece, and an invaluable set of reference photos illustrating more than 60 textures created with just four pyrography tips. Pyrography Workshop with Sue Walters has everything you need to start woodburning like a pro!" This DVD will be especially useful to those people who use wire nib burners, specifically those of North American design. The nib range of these machines can be extensive, making choice difficult. This DVD will also be very helpful in showing which existing tips in your kit to use when burning a project. Lastly, it will aid in concise nib choice when making future purchases, saving you from buying unneccesary products. NEW! FREE VIDEO! Pyro Nibs Explained- Part 1 of Pyrography Nibs Explained.' is now on YouTube. NEW! FREE VIDEO! 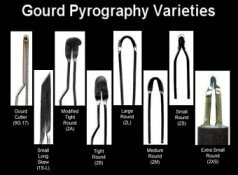 Pyro Nibs Explained- Part 2 of Pyrography Nibs Explained.' is now on YouTube. NEW!FREE VIDEO! 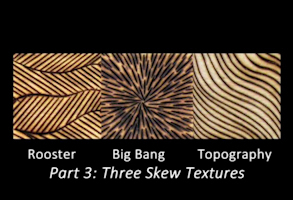 Pyro Nibs Explained- Part 3 of Pyrography Nibs Explained.' is now on YouTube. NEW! FREE VIDEO! 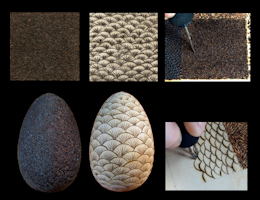 Pyro Nibs Explained- Part 4 of Pyrography Nibs Explained.' is now on YouTube. NEW! FREE VIDEO! Pyro Nibs Explained- Part 5 of Pyrography Nibs Explained.' is now on YouTube. FREE VIDEO! Pyro Snippet #9 - From maple egg to 'Python on a Nest' is now on YouTube. FREE VIDEO! Pyro Snippet #8 - Negative Burning Explained is now on YouTube. FREE VIDEO! Pyro Snippet #7 - PPreventing the Dreaded Blob is now on YouTube. FREE VIDEO! Pyro Snippet #6 - PROJECT: Bone Burning. Burning a bison head on beef bone. is now on YouTube. FREE VIDEO! Pyro Snippet #5 - PROJECT: Burning a Piano Key Bookmark. is now on YouTube. FREE VIDEO! Pyro Snippet #4 - The $2.00 Tea Strainer Nib Cleaner. is now on YouTube. FREE VIDEO! Pyro Snippet #3 - A Pyrography Quilt Gourd. Easy & Fun! is now on YouTube. FREE VIDEO! 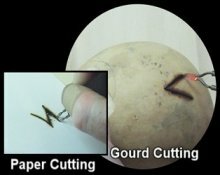 Pyro Snippet #2 - How To Erase Pyrography Mistakes is now on YouTube. FREE VIDEO! Pyro Snippet #1 - How to Use a Spoon Shader is now on YouTube.